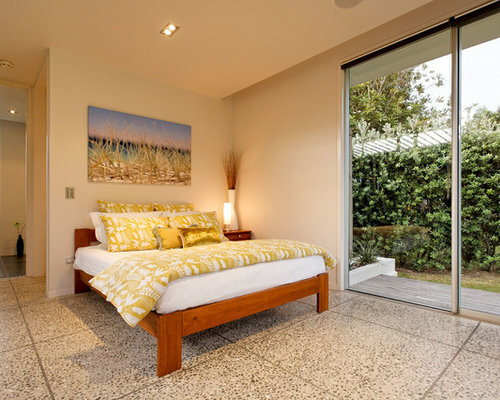 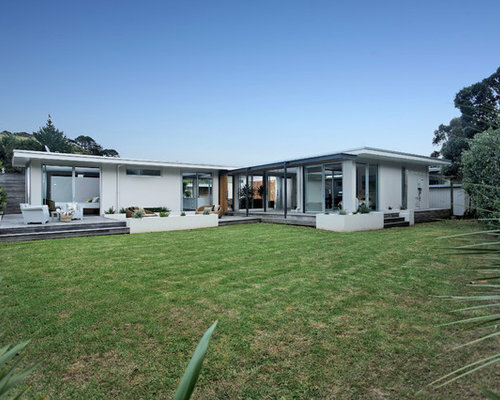 Located on New Zealand’s Coromandel Peninsula in the beach side town of Whangapoua, the clients had a section that they wanted to create a holiday home where extended family could come together and enjoy the summer months. 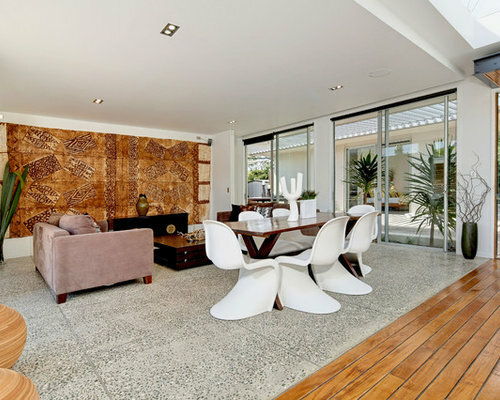 Based around a series of pavilions and bright internal spaces, this holiday home incorporates a strong influence from the 1970s. 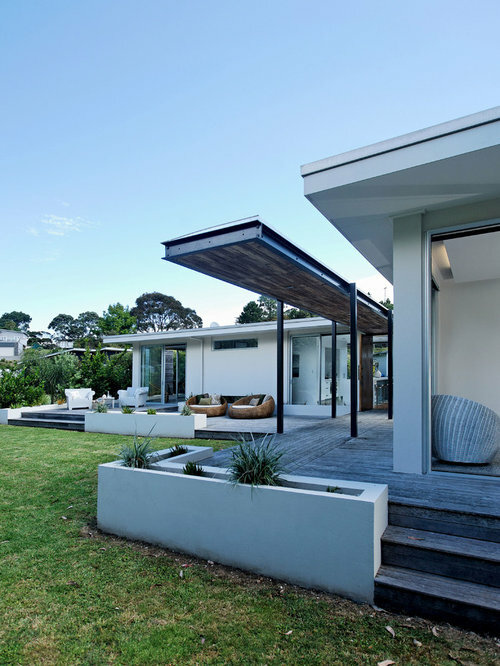 Spatially, the pavilions operate in catering for large groups whilst spacious bedrooms provide privacy away from the main living hub. 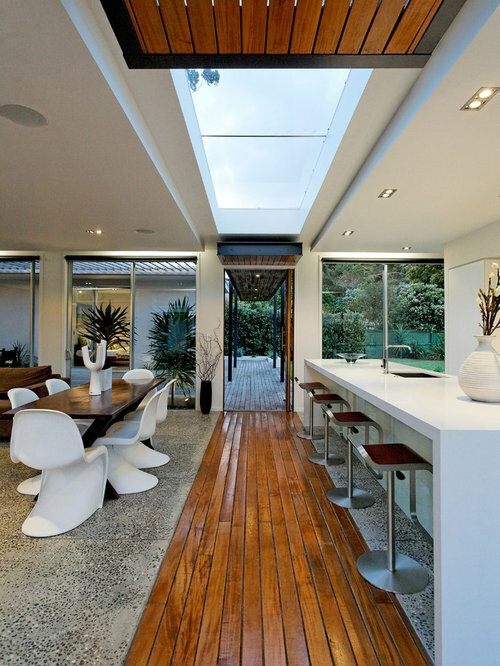 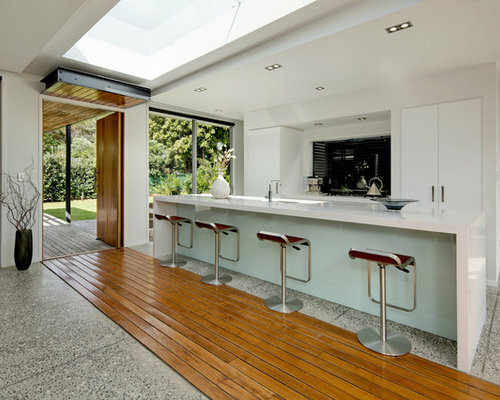 Large skylights bring passive lighting into the kitchen. 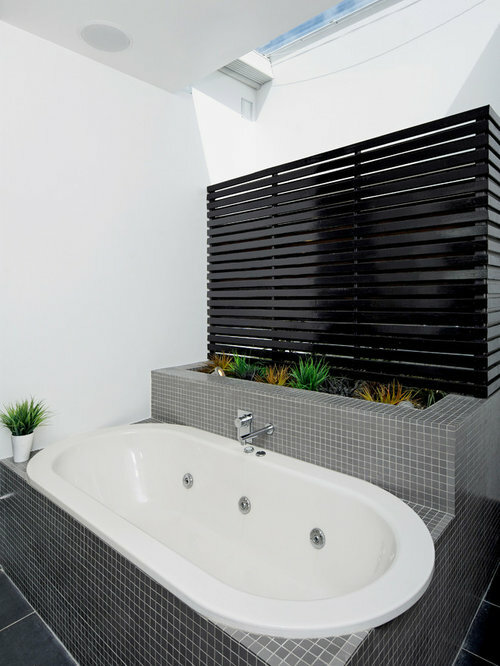 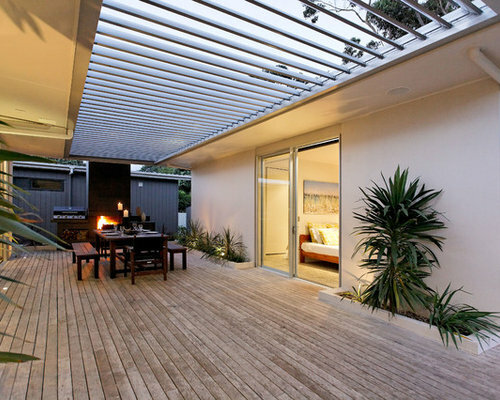 Vitek decking mirrored from the ground to ceiling lines from front to rear--creates strong indoor-outdoor flow. 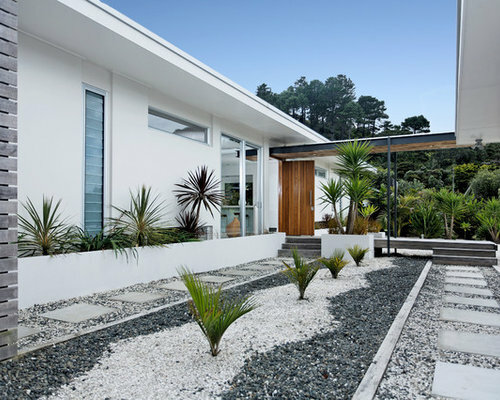 The careful selection of timber accents and shell aggregate embedded within the honed concrete floor emphasize the link between the beach and the inner sanctuary of the holiday home. 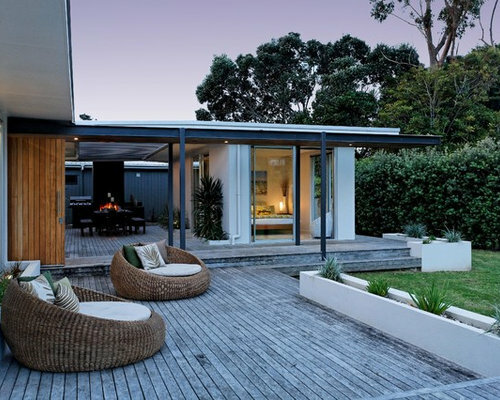 The rear features an outdoor fireplace with barbecue area, and screening from neighbors. 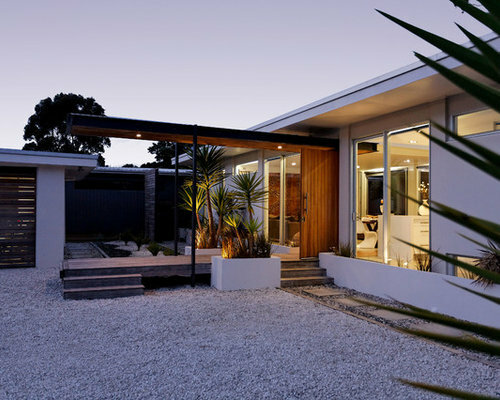 The design is generous and affordable, with abundant privacy and seclusion, contributing to an enjoyable, relaxing holiday home.